Tracing Their Steps: A Memoir contributes to the history of how African Americans born in the Deep South during slavery faired following the Civil War and Reconstruction. Peter Clark, Bernice Bennett's great-great-grandfather, survived the Civil War to become a landowner under the Homestead Act of 1862 in the Florida Parishes, of Louisiana. Bennett combined oral history and extensive research to document and chronicle how Clark and, a group of Black men in his community also acquired land under this act. 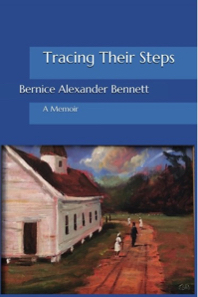 Bennett's story is a guide for family historians to validate oral history as she describes the painstaking research to find documents, including obstacles, to confirm her family lore.